One of Marriott's exciting points-based programs, *Marriott Vacation Club - Asia Pacific* offers a focus on exciting destinations like Thailand and Hawaii while allowing flexibility and ease of use like only point programs can. Members can decide how, when and where they want to use their Club Points. 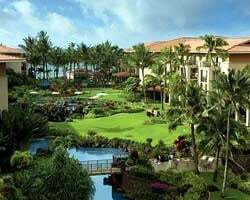 Whether they want to stay two weeks in Hawaii, or one in Thailand and one in Las Vegas, they're sure to be pleased by the luxurious standard Marriott meets in all locations. In addition to the 6 outstanding resorts in the Asia Pacific network, members can choose to exchange with Interval International and Marriott Vacation Club International for locations and benefits all over the globe. 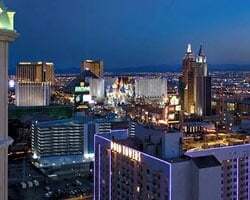 For more about this first-rate exchange program, visit www.marriottasiaholidays.com. Sale includes 3,300 annual points! Travel to any destination in the network! Buyer may receive a title fee credit, inquire for details! 32,000 annual points! Points can be used anywhere in the Marriott Vacation Club - Asia Pacific network! Buyer may receive a title fee credit! 4,500 annual points! Use points anywhere in the Marriott Vacation Club - Asia Pacific network! Buyer may receive a title fee credit, inquire now! 100,000 annual points! Points can be used anywhere in the Marriott Vacation Club - Asia Pacific network! Buyer may receive a title fee credit! 33,000 annual points! Points can be used anywhere in the Marriott Vacation Club - Asia Pacific network! Buyer may receive a title fee credit! Enjoy receiving 4,000 annual points to vacation when you want! Buyer may receive a title fee credit, inquire for details! Pick your vacation dates with 3,000 annual points! Buyer may receive a title fee credit, inquire for details! Sale includes 17,000 annual points! Buyer May Receive A Title Fee Credit, Inquire For Details! Flexible vacation membership! 2,500 annual points! Buyer may receive a title fee credit, inquire for details! BARGAIN PRICE $1,500 ONLY. 6900 points available now! Please note that club fees are now due. RTU in perpetuity! Sale includes 15,000 annual points! Currently 30,000 additional points! Buyer May Receive A Title Fee Credit, Inquire For Details! Sale includes 17,000 annual points! Buyer may receive a title fee credit, inquire for details! Reasonable offers will be considered! 40,000 annual points. 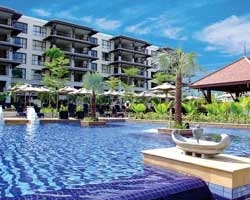 Will include 2 airline tickets from Bangkok to Phuket. RTU until 2058. Price negotiable! Offer today! Stunning resorts in Asia Pacific & around the globe! 50,000 annual points; RTU 2061! Buyer receives complimentary closing credit; inquire for details! Sale includes 15,000 annual points! Buyer May Receive A Title Fee Credit, Inquire For Details! Travel to the Asia Pacific & around the world! 20,000 yearly & 15,640 available points! Buyer may receive a title fee credit; inquire for details! Seller must sell.... willing to take genuine offers! May Receive A Title Fee Credit, Inquire For Details! Sale includes 20,000 annual points! Buyer May Receive A Title Fee Credit, Inquire For Details! Membership paid in full! Sale includes 33,000 annual points! RTU in perpetuity! Buyer May Receive A Title Fee Credit. Sale includes 34,000 annual points! Buyer May Receive A Title Fee Credit, Inquire For Details! Sale includes 14,000 points a year! Locations around the world! Buyer May Receive A Title Fee Credit, Inquire For Details! Price negotiable! Sale includes 3,000 annual pts to explore this terrific network of resorts! Buyer may receive title fee credit, inquire for details! Sale includes 1200 annual points and 930 banked points! Buyer may receive a title fee credit, inquire for details! Travel when you want and where you want within this luxury network with 2,000 annual points! Buyer may receive a title fee credit, inquire today! Explore new & exotic resorts! 3,300 annual points! RTU in perpetuity! Buyer may receive a title fee credit, inquire for details!